This title allows users to effectively diagnose and treat any acute disease of the stomach, intestines, peritoneum, liver, and abdominal wall. Its authorship includes over 20 internationally recognized experts that provide critical information needed by practitioners for management of abdominal diseases. This informative resource provides a thorough discussion of normal and abnormal anatomy and physiology. Surgical techniques are broken down into an easy-to-read step-by-step format. 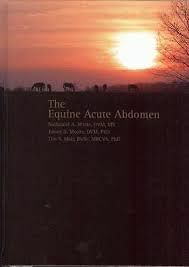 This highly visual presentation, with over 410 illustrations, is a necessary edition to an equine practitioner’s library.